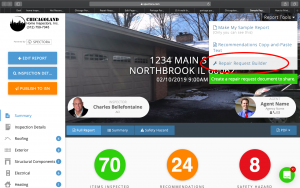 Repair Request Builder | Chicagoland Home Inspectors Inc. 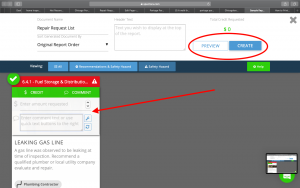 Step 2 – Click on the item you want to include in the repair request report, and then enter the amount you are requesting for this item. 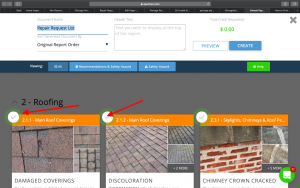 Step 3 – After previewing your repair request report, simply click on “Complete” and the report is generated automatically, and you can send it right from our system. No more long and confusing email strings. No more issues lost or misunderstood by the other parties involved. Now you can have all your repair requests in one simple-to-use system.